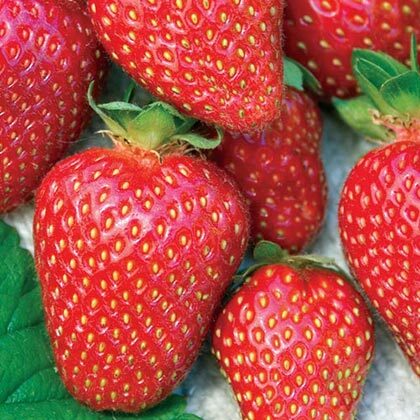 All Star Junebearer Strawberry | Gurney's Seed & Nursery Co. Very reliable throughout the South. Very large; sweet, mild flavor. Glossy, firm fruit is great for fresh eating or freezing. A good allaround, reliable producer. Highly resistant to red steele and tolerant of wilt. Widely adapted to Zones 6–8. FruitVery large; sweet, mild flavor. Soil RequirementsMoist, well-drained, slightly acidic, sandy loam soil. PruningRemove the first flowers the first growing season planted. CommentsGrowing Tips: Mix fertilizer in soil when planting (5-10-5), no additional fertilizer is needed the rest of the year. Pull weeds as they develop and keep soil moist. Mulch between rows to reduce weeds and to hold moisture in the soil. Cover bed with straw or mulch in late Fall after several hard frosts. Rake the mulch off the plants when they turn green in the Spring, but don't remove it completely. Leave some between rows over the Summer. 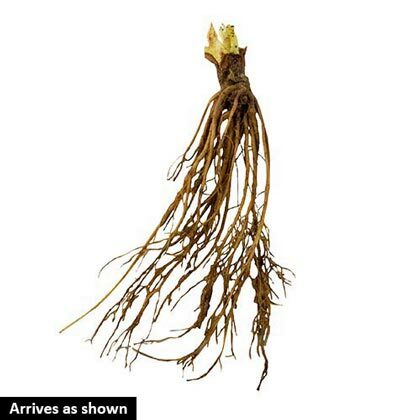 DepthPlant so that crown is just above soil level.